The Fan Photo application allows fans to access team information, game promotions and get special Photo features only available to fans at the ballpark. The application uses SemperCon’s CirrusCon API Platform to provide Application Based Connectivity features including sending pictures to the stadium scoreboard. The Mi-Stories application provides access to several full series of videos for individuals with autism that can be each be previewed, purchased and watched on mobile devices. SemperCon designed the application to take advantage of in-app purchase capabilities to easily download and view video stories. 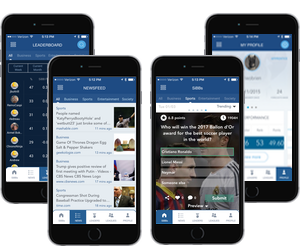 BLE Baseball is a real-time mobile application that allows users to predict and place virtual bets on batter outcomes during live baseball games and provides full analytics of all aspects of the game. Presented with a challenging task to design a system to manage real time actions during live events, SemperCon developed an innovative system for fans to interact and instantly predict results of at bats and settle simulated wages with ‘Bleacher Bucks’. The Hockey Stats app helps capture real-time game and player statistics during a hockey game using an intuitive iPad touch interface. Working in difficult network environments, SemperCon developed connectivity options to help sync data with the app. Scoopist mobile app allows users to share photos and interact with friends while on the go at bars, restaurants, or other events. SemperCon developed and deployed the geolocation application helping overcome critical connection issues involving the transfer and storage of large digital pictures. 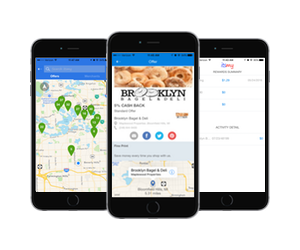 ItsMy is a rewards tracking application that allows you to link the Visa, Mastercard, and American Express cards already in your wallet to ItsMy and earn cash back rewards when you shop at over 1,000 Michigan locations. With the ItsMy iOS app, you can easily find ItsMy merchants and view their offers, track your purchases, pending rewards, and rewards earning history. SiBBiL is a news and events prediction game that makes following the news fun, whether it’s sports, politics, business, or entertainment. The app helps everyday people discover and follow the latest news, make predictions on their outcomes, and win prizes to the most accurate forecasters. Users can also create groups to compete against friends in a fantasy gaming-like experience. SemperCon developed Sibbel’s mobile app from concept to deployment.